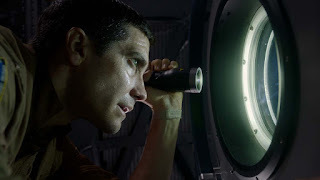 Can I even write a proper review of the new scif-fi thriller “Life?” I missed 20% of the film: I was so scared I had to look away on several occasions. It takes a lot to scare this cynical horror fan but when you leave the theater ready to hold back tears of fright because of how intense the previous movie-going experience was, you know you've seen a completely successful horror film. 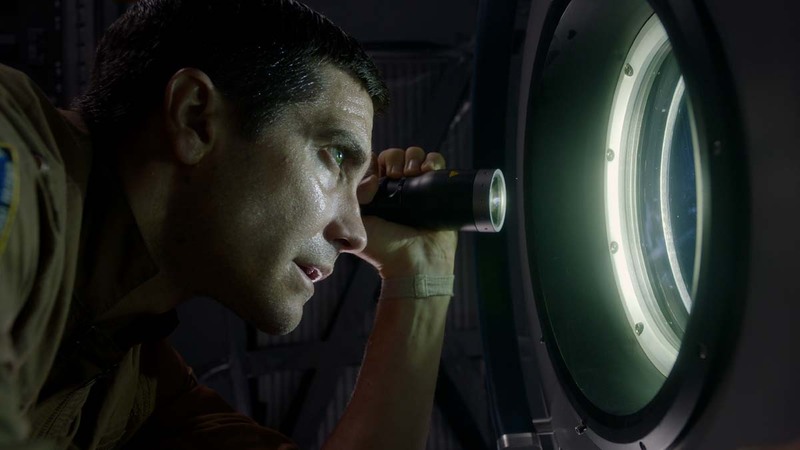 “Life,” a sci fi-horor film that works as a cross between “Gravity” and “Alien” is an extremely intense thrill ride. Even if it owes a lot to the great films that came before, its realistic approach makes it an extremely powerful, and suspenseful movie filled with unforgettable moments of gross-out horror and poignant moments of characterization. Fasten your seat belts, because this is one bumpy ride. “Life” begins by introducing us to a group of scientists aboard the International Space Station on a mission that has to do with studying the possibility of life on Mars. When they discover a single celled organism the crew, and the entire world, are fascinated by the discovery of life outside our planet. But this little guy isn't quite what it seems and it begins to grow exponentially to the point where it does what it wants when it wants to do it. Soon wonder turns to horror as the crew members are picked off one by one. There's medical officer David Jordan (Jake Gyllenhaal), quarantine officer Miranda North (Rebecca Ferguson), engineer Roy Adams (Ryan Reynolds), ISS pilot Sho Kendo (Hiroyuki Sanada), biologist Hugh Derry (Ariyon Bakare), and ISS commander Olga Dihovichnaya (Katerina Golokina). These are the characters and part of the fun of the movie is figuring out who's gonna die next. The film works so well because of the realistic nature of its setting. It's not set in a distant future with unfamiliar technology like “Alien.” It's set in a real place, the International Space Station. It asks the question, what if an antagonistic life form got on board. So those who thought “Gravity” was missing a rapidly growing alien creature will certainly be please with “Life.” Relatively little known Swedish director Daniel Espinosa directs with stunning precision. DP genius Seamus McGarvey's camera glides around the space station impressively and the film opens with a thrilling, long take sequence that has nothing to do with alien lifeforms. And the script is from the guys who wrote “Deadpool” and “Zombieland” of all things. The film moves along swiftly, though I'd argue the film's third act isn't as strong as what came before, and is not overly complicated with unnecessary exposition; the film is wisely more interested in scaring the audience than confusing it. And even if it's not the most original of sci-fi thrillers, it thankfully doesn't have the most annoying cliche of all: the human villain.